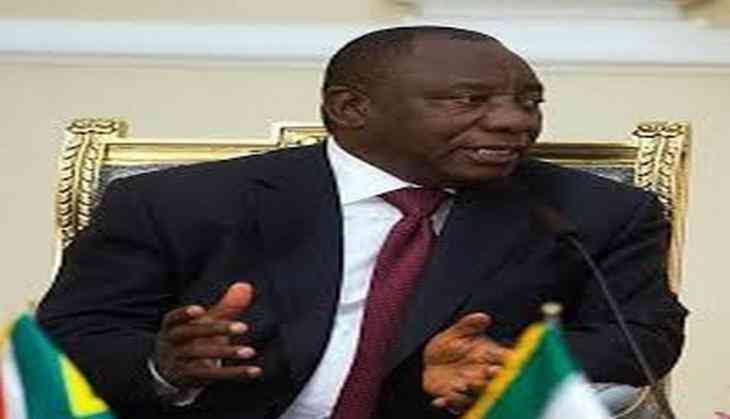 Newly-elected South African President Cyril Ramaphosa on Friday pledged for an economic and political turnaround and appealed to the citizens that the country was entering a new dawn and promised to turn the tide on corruption, according to media reports. "We should put behind us the era of diminishing trust in public institutions and weakened confidence in our country's public leaders. We should put all the negativity that has dogged our country behind us because a new dawn is upon," President Ramaphosa said in the South African Parliament. "This is the year in which we will turn the tide of corruption in our public institutions," he said, while attacking the "plunder of public resources" by South African politicians and business people. President Ramaphosa praised the police and prosecutors for taking initiatives to deal with those who were engaged in corruption activities, in an apparent reference to the Guptas, an influential business family suspected of using its ties to now ousted President Jacob Zuma to influence cabinet appointments and land state contracts. On Wednesday, the South African police, the Hawks, raided the house of the Gupta compound in Saxondale, Johannesburg. The police described the area as a "crime scene". The police also raided the Guptas' Oakbay holding company in Johannesburg's Sandton financial district, according to the local sources. The Guptas have repeatedly denied any wrongdoing. The Gupta brothers- Ajay, Atul and Rajesh, migrated from Uttar Pradesh to South Africa in the 1990s and own a business empire spanning from computer equipment, media and mining in South Africa. In 2016, Atul became the seventh-wealthiest person in South Africa, with an estimated net worth of 10.7 billion South African rands (USD 773.47 million), based on the Johannesburg Stock Exchange (JSE)-listed holdings. President Ramaphosa was elected as the new President of South Africa on Thursday after Zuma resigned before a no-confidence motion was to be passed, ending weeks-long power struggle in the ruling African National Congress (ANC). President Zuma had led the ANC since 2007 and have been South Africa's president since 2009 till he resigned. The scandal-hit South African leader, faces more than 780 allegations of corruption relating to a 1990s arms deal. The South African media have been calling President Zuma's inevitable exit as "Zexit". READ NEXT >> 'Cheat India' release date out!